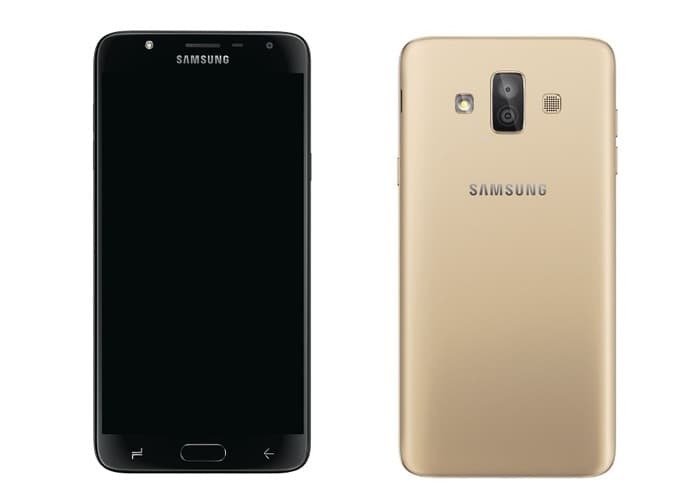 We have been hearing rumors about the new Samsung Galaxy J7 Duo smartphone. The handset is now official and it is being launched in India. The Samsung Galaxy J7 Duo comes with a 5.5 inc HD Super AMOLED display that features a resolution of 1280 x 720 pixels. The device is powered by an octa core Samsung Exynos 7 Series processor and it comes with 4GB of RAM. The handset is equipped with 32GB of built in storage and it also comes with microSD card slot in case you need some extra storage. The device comes with a total of three cameras. On the front of the handset there is an 8 megapixel camera for Selfies and video chat. On the back of the device there are dual cameras. The dual cameras are made up of one 13 megapixel camera and one 5 megapixel camera. The new Samsung Galaxy J7 Duo comes with Android 8.1 Oreo ad it features a 3000 mAh battery, it also comes with WiFi, Bluetooth and 4G LTE. The handset will come in a choice of two colors black and gold and it will go on sale in India tomorrow for INR 16,990 which is about $260 at the current exchange rate.